When traveling, it's uncommon for me to go back to the same restaurant twice. 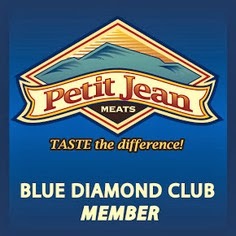 I like to find new and different cuisine to share, no matter where I go. But this time, I had to make an exception. On one particular Saturday evening in March, a group of my companions and I were looking for good sushi in the Memphis area. 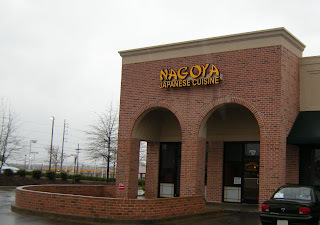 We crossed over into Southaven, MS and found Nagoya, a Japanese Cuisine and Sushi Bar. Before entering, I promised to relax and not work for one evening, and left the camera in the car. I didn't make the same mistake on Sunday. Nagoya, from the outside, could be just any old Japanese restaurant. 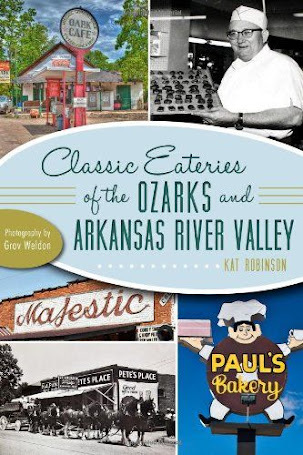 It's located in a relatively new brick strip mall in the northeast corner of the Airways and Goodman Road intersection. 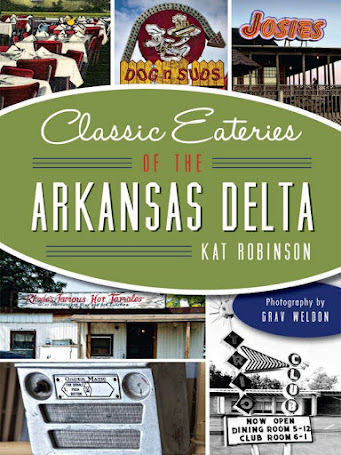 It's near the Malco Theater and just down the strip from Baskin Robbins. But it's not your usual "sushi in a boat" restaurant. ($4.95). Both were good decisions -- just way too much food. The dinner alone contained six pieces of Nigiri, several pieces of Sashimi, and three different rolls. So we were back. 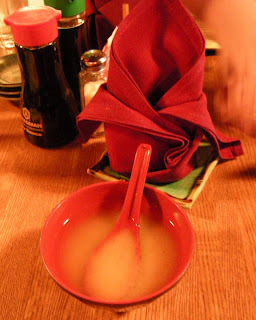 On arrival, we were greeted with hot, wet handtowels and bowls of miso soup. The handtowels were lovely and refreshing on such a cold, rainy and miserable day. 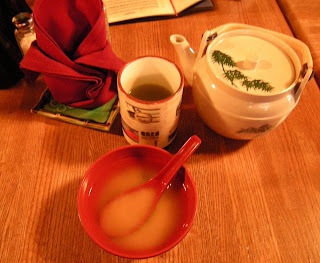 The soup was nourishing -- small pearls of tofu, green onions, and a litte seaweed in a clear soybean broth. I ordered hot green tea for a bit more of a warmup, and was greeted quickly with my own cup and pot. The tea is strong, and greener than I have become accoustomed to, but oh so warming. Our dining party made its choices, and we quickly received the first of our appetizers. 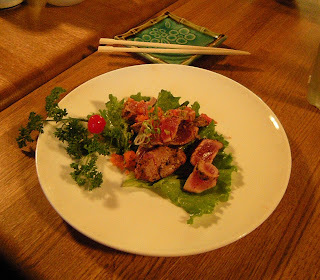 I had ordered a Tuna Tataki ($5.95), and it was quickly delivered -- succulent, buttery thin slices of lightly seared tuna seasoned with ginger and green onions. The vinaigrette dabbed on top only enhanced the flavor -- a true, red meat reminiscent of a delicate filet mignon. The color contrast in the presentation was striking -- the deep red of the tuna against deep green leaves with parsley and cherry garnish was striking. 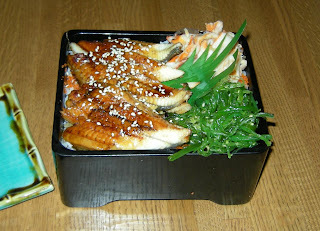 One of our companions received the Unagi Donburi ($11.95), barbeque eel served on a bed of rice. The presentation is in a hard black plastic box, filled to the brim with food and seaweed. 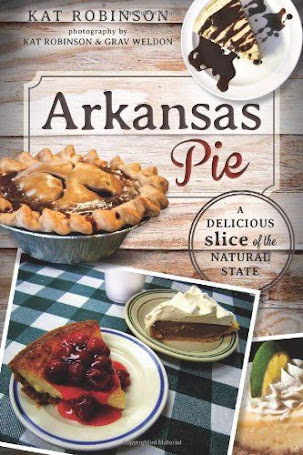 We were surprised that it came out before the accompanying salad! I shared a Rock 'n' Roll Sushi Roll ($7.95) with the party. The thick roll comes with a sauce reminiscent of an Oriental honeyed mustard sauce, which I personally didn't care for and thought the roll didn't need. The roll itself is packed with fried shrimp, cucumber, crab stick and snow crab pieces, tempura batter bits that had been deep fried, and avocado. The slices are almost too large to be handled with chopsticks, but the roll was both light and hearty, a good combination of savory and sweet and enough to be worthy of a light lunch itself. Right on the heels of the roll came the salad... a large bowl of iceberg lettuce garnished with a little purple cabbage and a heap of spiral-shaved carrot. The milky ginger dressing hinted at tones of both horseradish and ranch dressing, but strangely that worked well with the rest of the ingredients. It was very fresh and an excellent palate cleanser. Another of our companions ordered the Beef Udon ($8.95) -- thick, hearty noodles in a deep brown broth with chunky slices of beef that was once again a meal in itself. 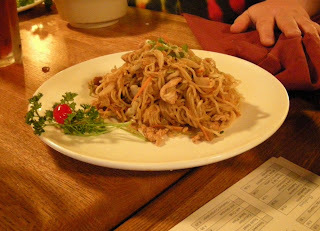 One of the others ordered the Yakisoba ($7.95) -- yellow noodles cooked with chicken and vegetables in a lighter broth, a savory and delicious temptation in itself. Mere moments later we received the dinner we had decided to share -- the Sushi and Tempura Combination ($16.95) -- another large and beautiful platter of fishly delights. On one end, a delicate crown of tempura battered vegetables and shrimp perch in golden glory -- fragile onion rings, clumps of broccoli, planks of still slightly crunchy zucchini and sweet potato, and large straight shrimp, all in that perfect and ungreasy delicate tempura batter. On the other side, a delicious display of nigiri and a California roll (you also have a choice of snow crab or tuna roll). The menu says it comes with tuna, fresh salmon, shrimp, and whitefish sushi -- but ours also came with a piece of fresh salmon and crabstick sushi. No fishy taste here... each piece of nigiri sushi was balanced well between the chunk of fresh fish and the sushi rice, complete with a tiny dab of wasabi paste in-between. The whitefish comes topped with a little salmon roe. The platter is served with a special sauce that tastes like a combination of beef broth and soy sauce, perfect for dipping the tempura. The chicken fried rice served with the meal (and with all dinners) is divine -- savory and well cooked, with big chunks of pulled chicken. That rice and a couple of pieces of sushi would set me fine on any average day. Once again, we missed out on dessert, unable to give in and order the tempting Banana Tempura ($4.95), that we would have loved to have experienced. Ah well, another excuse to go back. 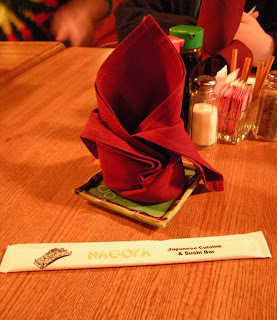 Nagoya shares a menu with another eatery, Collierville's Fuji Cafe. We were very impressed by the attention the wait staff lavished on us, and on the clean cut and completely un-over-the-top decor. It was tasteful and chic without being kitchy or stereotypical. My second regret (after the inability to eat Banana Tempura) was that I didn't get to see one of the neat sushi boats filled. Nagoya is open seven days a week -- 11 a.m. to 2:30 p.m. Monday through Saturday and noon to three Sunday for lunch -- 5 p.m. to 10 p.m. Sunday through Thursday and 5 p.m. to 10:30 p.m. on Friday and Saturday. 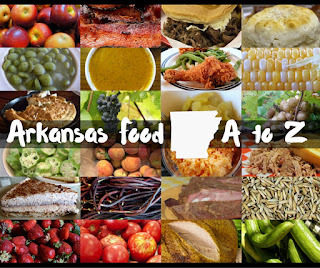 Call for more information -- (662) 349-8788.